All seemed normal until they got to the last few hundred meters near her home - in 200 meters the fare leaped from 67 baht to 117. The driver said he didn't know what happened and said to just give him 120 baht. Obviously a malfunctioning meter. What else could it be? How simple to order the co to suspend the car for 30 days having been found to have fake registration number? Obviously if the 2 numbers do not match it means one of them is definitely fake. I have faced a dodgy fare meter myself. For maybe 1 km I watched the numbers increment like a petrol pump. I asked the driver to pull over. Paid him and told him he was a thief. Then I hailed another cab and traveled happily to my destination. Paid him?? It would not have been me. I one time I glanced yo and the meter seemed to be going faster than normal, then I saw the wires from the meter to a switch to the man's side. It was hidden under that towel. Covering the meter should be illegal, modern electronics can stand wuite a bit if heat. Or the manufacturer needs to add a fan. It was a short hop so he could not rip me off much . But I pointed out the wires. now that I know Thailand more, I would be tempted to take a picture and confront the guy but now that I know Thailand more, I know that could get my throat slit. No doubt they catch a fair number of unsuspecting tourist that don’t know better. The government could curb this with some sting operations. 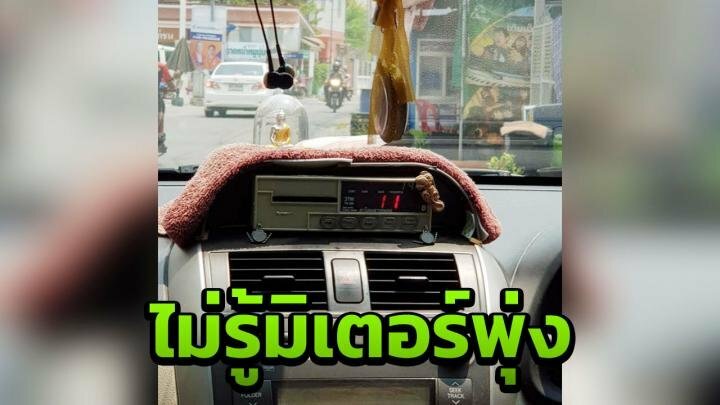 The extra 40 baht is for using the brakes and stopping at her house. I am not doubting you but I like to understand the mechanics of such things. How do they get the meter to advance more quickly only at certain times on demand? What is the world coming to when a hacked meter doesn't work properly. Technology, who needs it? He must have paid good money for that.